Emilie Hafner-Burton was in her mid-20s, working as volunteer United Nations in Geneva, when she was discovered something that catalyzed her academic career: the very institutions designed to protect human rights were often too dysfunctional to effectively help the world’s most vulnerable populations. In April, UC San Diego recognized Hafner-Burton’s passion and dedication to protecting human rights—through teaching and research—as one of six faculty members honored at the 44th annual Chancellor’s Associates Faculty Excellence Awards. The recognition celebrates faculty members who go above and beyond to make a positive difference in their teaching, research and service. As the John D. and Catherine T. MacArthur Professor of International Justice and Human Rights at UC San Diego’s School of Global Policy and Strategy (GPS) and the Deptartment of Political Science, she conducts groundbreaking research on how international law helps protect human rights. Her latest book, “Making Human Rights a Reality,” shows why it has been so difficult for international laws to have an impact in parts of the world where human rights are most at risk. It also offers a playbook for how to make law more effective. 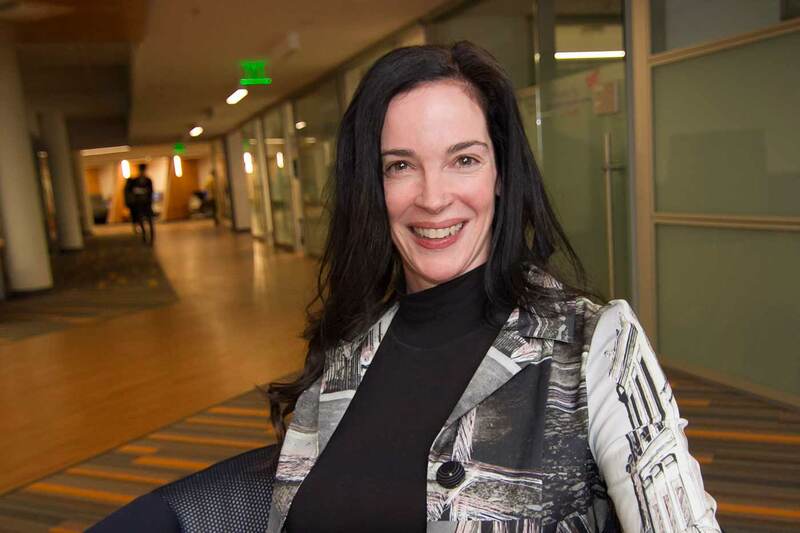 At UC San Diego, Hafner-Burton helped launch the Laboratory on International Law and Regulation (ILAR), and she serves in various capacities to empower female faculty and students as a steadfast advocate of diversity. ILAR, and by extension Hafner-Burton herself, studies how international regulation interacts with processes that operate inside countries and firms. From climate change treaties, to human rights accords, the lab aims to have a significant impact on all the players in international relations — those working in the global economy in multinational firms, aid and development as well as nongovernmental organizations. Looking to the future, Hafner-Burton is expanding to new topics by combining the same passion for focusing on problems that matter with modern social science methods. Stephan Haggard, the Lawrence and Sallye Krause professor of Korea-Pacific Studies at GPS, and director of the school’s Korea-Pacific Program, reflected on this evolution. Much like the other research at GPS, ILAR leverages, the school’s internationally recognized expertise of the Americas and Asia, to develop analytic tools with real-world applications, while training young scholars to be the next generation of global leaders. Hafner-Burton interests and acute understanding of international law and international institutions has led to a multitude of discoveries that can benefit humanity for years to come. Hafner-Burton accepted her award at the April 11th Chancellor’s Associates Faculty Excellence Award ceremony. For more information on the other awardees, click here.